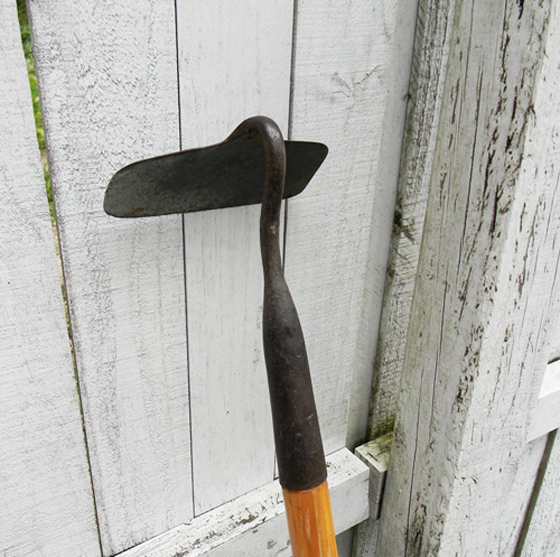 I’m a big fan of simple garden tools – and the hoe is one of my all-time favorites. Unfortunately, thanks to the decline of Western Civilization, even saying the word “hoe” now evinces smirks and winks. We’ve left our agrarian roots and have immersed ourselves in the cesspool of the inner city. 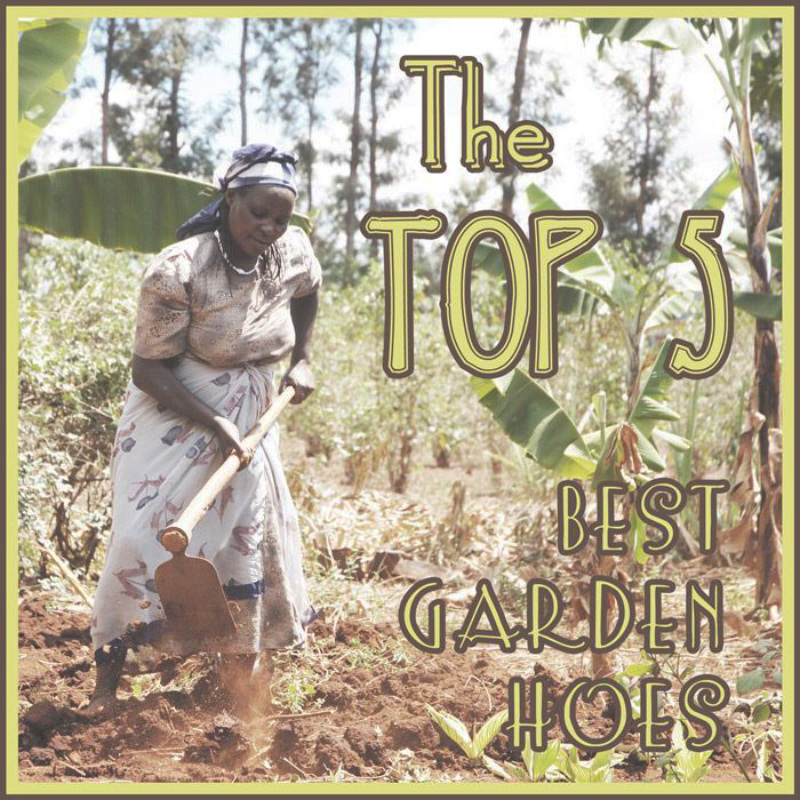 Yet for us who have left the city and sought out simpler lives connected with the soil, our hoes are comforting tools that fit nicely in the hand and lead to clean rows and happy crops. However, not all hoes are created equal. Today we’ll take a look at my top five best garden hoes and how they’re used. This is the classic garden hoe in North America. 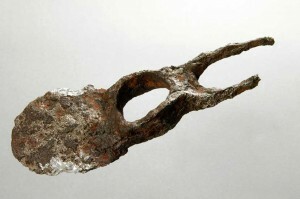 Unfortunately, modern models don’t consist of a single forged head and handle mount like the antique model above. Instead, the gooseneck portion is welded onto the blade and then fits into a hole in the bottom of the handle where it’s held in place by a cheap stamped metal collar. Look around for an old one – you’ll appreciate it. The cutting steel is remarkably fast compared to the modern metal. It’s like the difference between a cheap stainless butter knife and a good carbon steel blade. You’d choose the latter for food prep: do the same in the garden with your hoe. The swan neck on the hoe should be adjusted to maintain a good angle with the ground the gardener stands and hoes his garden. This is a good, quick blade for tougher hoeing jobs and larger weeds, as well as little weeds. If you find yourself chopping at the ground, you’re doing it wrong. Sharpen up your blade and ease into your work. Yes, there are a lot of common names for this one hoe. Hoes need to be given Latin names. Let’s just call this one Marra oscillatus. I have a scuffle hoe just like this one. Here it is on Amazon. This hoe is a country housewife’s favorite and for good reason. Rather than scraping the weeds in a repeated scraping stroke-and-lift as you would with a regular hoe, you scuffle this hoe back and forth, letting the oscillating blade snip through the weeds, effectively decapitating them. Somewhere around here I have a picture of my wife hoeing a garden bed with a hula hoe when she was nine months pregnant. I am so tempted to post it. The scuffle or hula hoe is a major time saver that makes cleaning up weeds a snap, provided they’re not too entrenched. If they are… you’ll need the next hoe. The grub hoe is an earth chopping monster. Unlike the previous two hoes which are created for lighter weeding projects, the grub hoe is an earthmoving tool consisting of a heavy forged head that points at a little less than a 90 degree angle from the handle. 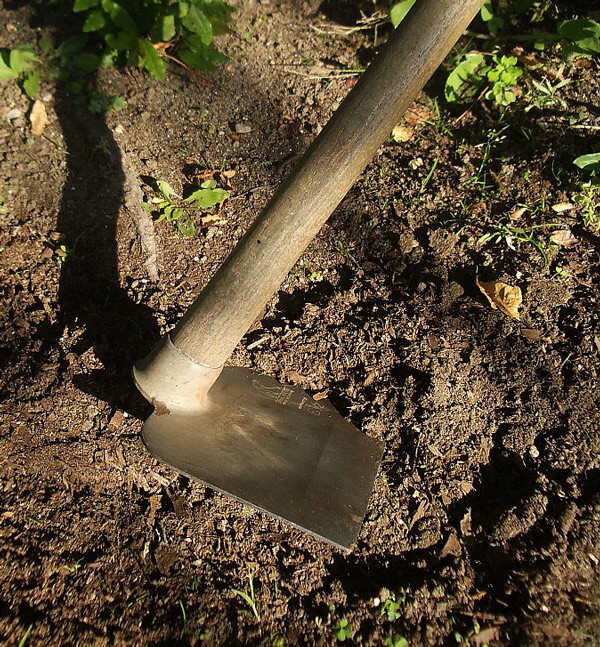 The grub hoe is the primary cultivating tool in much of the undeveloped world. It’s easy to use than a shovel for digging, plus it’s more than strong enough to chop through tree roots, smash through hardpan and till new ground. I’ve taken antigue grub hoe heads and pressed them back into service with great results; however, the best blade/handle combination I’ve ever used is the grub hoe sold by EasyDigging.com. Their handles are incredible and the blades are forged steel. 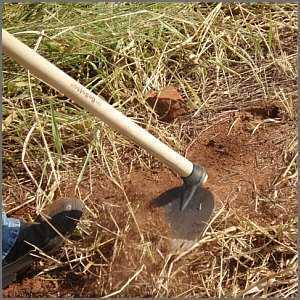 You can actually dig easier with a grub hoe than you can with a shovel. 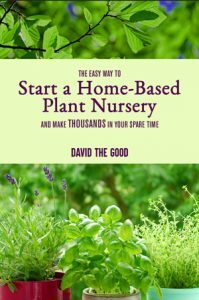 Once you own one, you’ll wonder how you gardened without it. I’ve planted a lot of perennials with mine. The wheel hoe almost disappeared from the American garden decades ago. Recently, however, it’s started to make a comeback thanks to the internet and a lot of small farmers interested in getting maximum output from quality hand tools without resorting to gas-guzzling tillers. 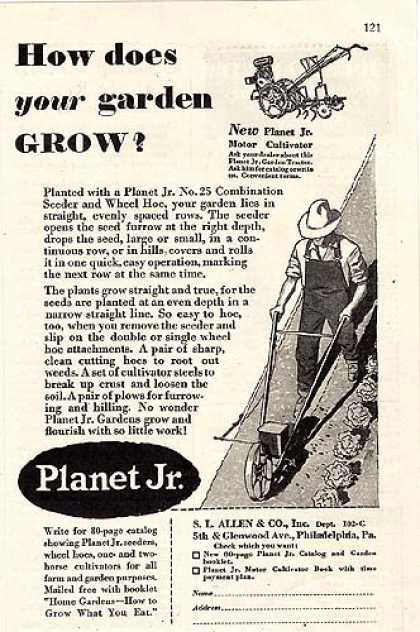 The most famous wheel hoe is the classic Planet Jr. cultivator. Unfortunately, Planet Jr. went out of business years ago though there’s still a thriving trade in their implements on eBay and in the antiques world. A good old Planet Jr. wheel hoe will usually set you back $200 or more. I know. I’ve searched for one. 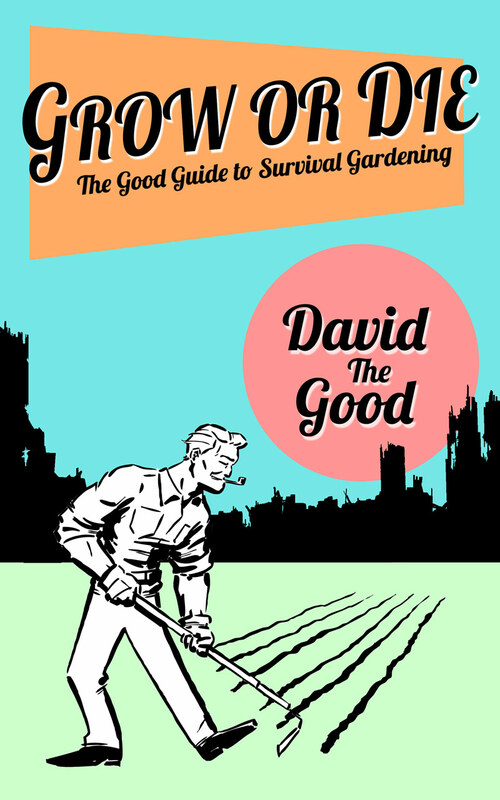 So – what’s the deal with wheel hoes and why would a gardener want one for his plot? Simple: the wheel hoe allows you to clean up a field plot in a fraction of the time it would take you with any other hoe. The wheel in front allows an incredibly efficient distribution of force that works wonders in decapitating weeds, especially when it’s teamed up with an oscillating blade, such as the one on the Planet Whizbang wheel hoe. I own that simple, well-designed kit-built wheel hoe and have found it to be a monster at clearing even tough weeds. The oscillating hoe rocks back and forth as you push/pull the wheel hoe, making it almost possible to cut sod with it. The Planet Whizbang wheel hoe doesn’t have any additional attachments, unfortunately, but as a dedicated weeder it’s super fast. You can find it here. For extra features, you need to turn to the leading manufactured wheel hoes such as Hoss, Glaser, or Valley Oak. Hoss also makes an excellent seeder attachment for their wheel hoes, allowing you to plant a large garden in a limited amount of time. 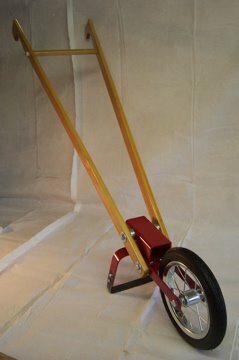 I own the Hoss wheel hoe/seeder combination and got mine from Easy Digging. It’s an amazing piece of mechanical technology. One man could easy tend an acre with a good Hoss wheel hoe and seeder. A grape hoe in use. Image borrowed from EasyDigging.com. 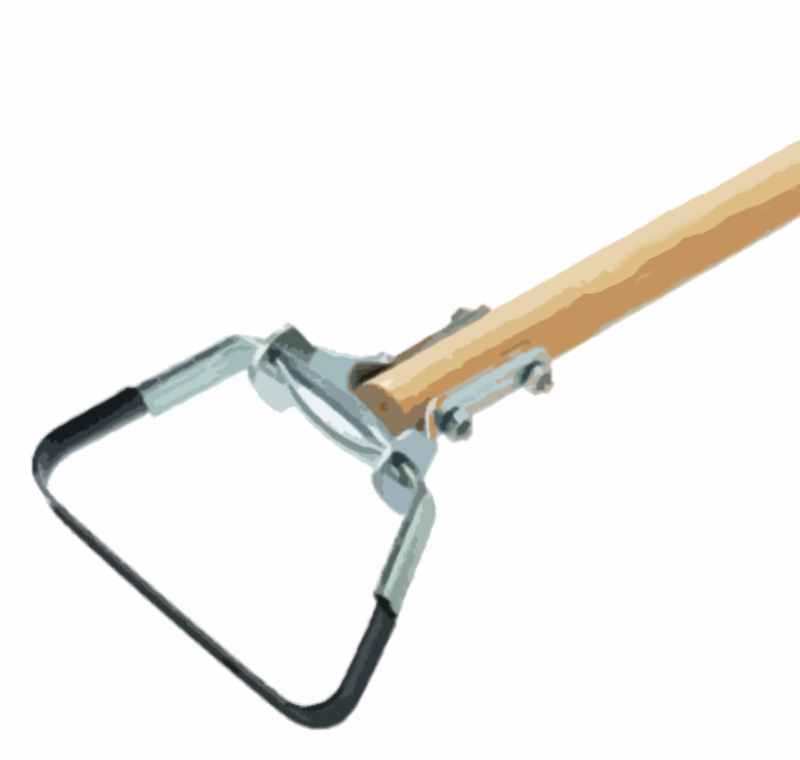 The grape hoe is an Italian innovation similar to a grub hoe. Unlike the grub hoe, the grape hoe isn’t made for digging. It features a wide, strong blade that’s angled to the ground at a degree that makes the scraping away of surface weeds a breeze. They’re sold on Amazon though I got mine from EasyDigging.com. Grape hoes were originally designed for use in vineyards, but they’ll also make short work of weeds in orchards and in garden beds. It’s a large, tough implement not suited to careful weeding but it is excellent for clearing new ground and pathways in a rapid amount of time. Finally, I covered the grape hoe, the grub hoe and the adze hoe in a short YouTube video that shows you how they work and how quickly you can tear up the ground. Grab a good hoe and start slicing weeds and taking names! Good Question Trish, I second the request for additional info on sharpening implements. I’m a big fan of hoes too. Most of the world does most of their gardening with hoes, not forks and shovels. I like having everything for different situations, but given only one gardening tool, it would be some type of hybrid compromise hoe for sure. My hula hoe finally died after many years of use and abuse, but I used it for stuff it wasn’t designed for. I bought the Ammann from switzerland, but I’m not impressed at all . The workmanship is very poor and the handle is junk. There is one other one which Johnny’s sells that is alleged to be high quality. A lot of them have poor quality blades that bend and don’t really hold an edge. I sharpen with a file, but you absolutely have to clean the blade well first. Those hoes in the video look awesome. I want them all! Those look like very good tools. I wish they had the old-school one piece hoe-head design of the antiques though. Disk blades have to make for awesome cutting tools. I like the design on mine well enough, but I’m iffy on the dead end sockets they have on a lot of the hoes. If water gets in there, it can’t get out very easily. Also, replacing the handles seems likely to be less straightforward than with a tapered open ended eye. In a lot of ways though, the whole concept and company is just awesome. I’ve actually thought for years about starting a hoe company, maybe other garden tools too, but mostly hoes, and it would be much like what they are doing. I’ll probably do a hoe video eventually too and I’ll show this one that my friend brought back from Africa that is one piece, but it has a punched and crimped eye. If you do that video, I’ll post it. Would like to see that. Also, starting a hoe company sounds like a good idea to me. I wish I had some blacksmithing talent… I’d be making them! Its the David The Good Pimps Hoes article. Daaaaaaawg, dats some crazy talk, ya’ll. I love a good grub hoe with a long shaft. You can really ‘throw’ it out. Great for digging and planting maize etc. Absolutely. They’re so fast compared to a shovel. Cleared a 12x12ft section of sod this weekend with my trusty grub hoe, worked great, sod filled in some potholes in the back of the property. Covered the bed in free compost from the county and mulch i chipped from clearing brush. A very satisfying weekend. I’ve been looking for a quality tool for a while not knowing what was out there beyond the boxstores crap. Read one of your earlier articles on the grub hoe and got one from easy digging, it’s the best implement I own for the garden now! That looks awesome! What a cool tool. Thank you for the link. Thank you, James, for the nice feedback about the hoe! 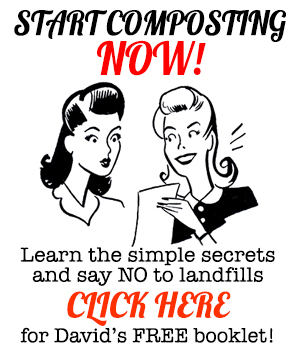 Could you please also leave your message on Ecominded feedback page: http://ecominded.net/feedbacks.html ? By the way. the Fokin’s hoe has other names: ploskorez or Russian flat-cutter.